We would all like to believe that we have the potential for greatness. Greatness, of course, is a subjective measure. How, for example, would you rate a mother or a father who successfully raises children and provides them with a strong ethical foundation and a moral compass that helps them lead useful and productive lives? Most of us would probably say that they did a great job raising their children; but, does that make them great in the eyes of the world? My point is, greatness may not be all that it is cracked up to be. This article, however, is about education and learning — not parenting per se. Parents would like their children to succeed at school because they understand that a good education opens the doors to opportunities that would otherwise remain shut. I’m convinced that one of the best things that parents (and teachers) can do to help children is to teach them how to persevere. In a previous article, I discussed the work of Angela Duckworth (@angeladuckw), a psychology professor at the University of Pennsylvania. The premise of her work is that even smart kids can get discouraged and, without training and encouragement, they can give up on certain subjects. She wants children to learn what she calls, “Grit.” For her work, Duckworth received a 2013 MacArthur Fellowship (i.e., a “genius” grant). Below is a video from the MacArthur website in which Duckworth explains her work. We’ve all heard the old saw, “Insanity is doing the same thing over and over and expecting different results.” Unknowingly, many of us fall into that trap believing we are practicing the right way or studying the right way. A feedback loop can help us break the cycle of doing the same thing and expecting different (or better) results. The second academic referenced by Nightingale is Cal Newport, an Assistant Professor of Computer Science at Georgetown University. Newport insists that successful people develop “the ability to focus intensely on cognitively demanding tasks; a skill he calls ‘deep work’.” Quoting Newport, Nightingale writes, ““By choosing a specific aim (i.e. becoming an expert WordPress programmer), you can clearly see the sub-skills that are important to master in order to help you achieve this aim — PHP, CSS, etc. Each of these individual sub-skills, of course, can be broken down into further sub-sub-skills. By deliberately focusing on mastering each of these sub-sub-skills individually, you can become an expert WordPress programmer.” Both Ericsson and Newport stress that practice is important; which is why teaching students how to persevere in the face of challenges is essential to their success. I’m a big believer in participatory teaching methods. That’s why I, along with a few colleagues, founded The Project for STEM Competitiveness — to help get a project-based, problem-solving approach into schools near where we live. We firmly believe that by showing students how STEM subjects can help them solve real-world problems using participatory methods they will begin to appreciate the opportunities that STEM skills open for them. If parents and teachers would concentrate on teaching children how to persevere in face the challenges, they would go a long ways towards insuring that the children under their care are successful in life. They may never achieve greatness in the eyes of the world, but they can become successful and contributing members of society. 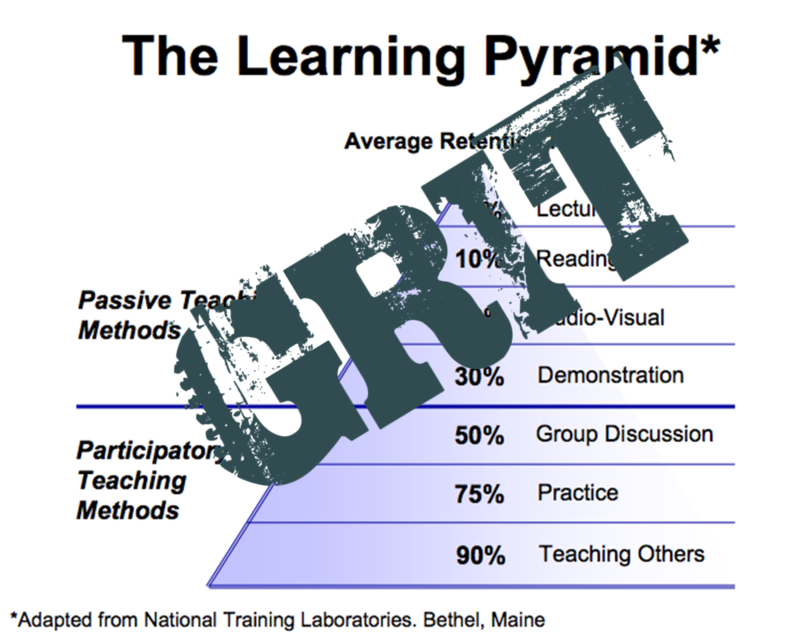 Tovia Smith, “Does Teaching Kids To Get ‘Gritty’ Help Them Get Ahead?” NPR, 17 March 2014. Rob Nightingale, “The 10,000 Hour Rule Is Wrong. How to Really Master a Skill,” Makeuseof, December 2015.